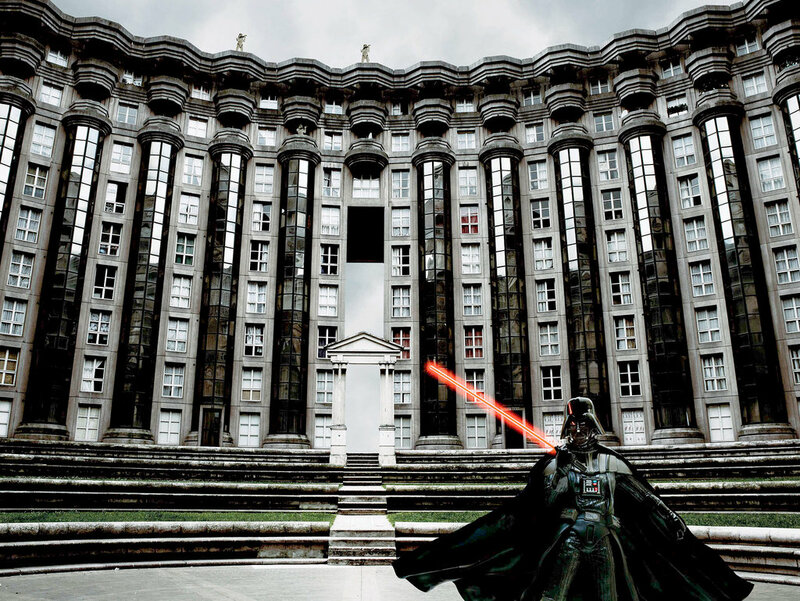 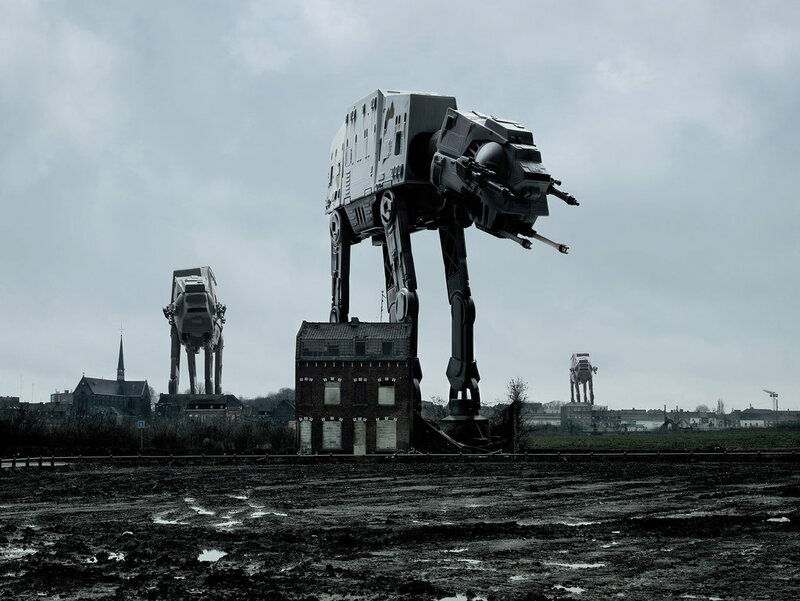 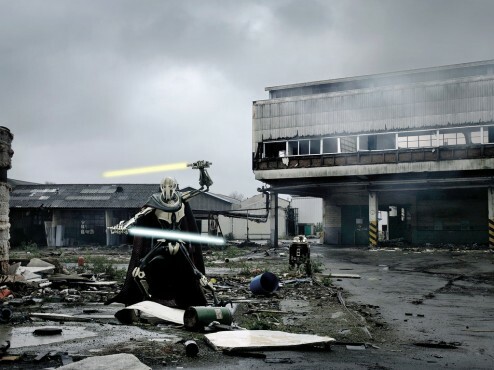 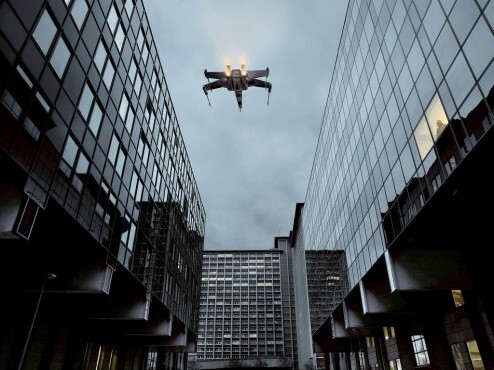 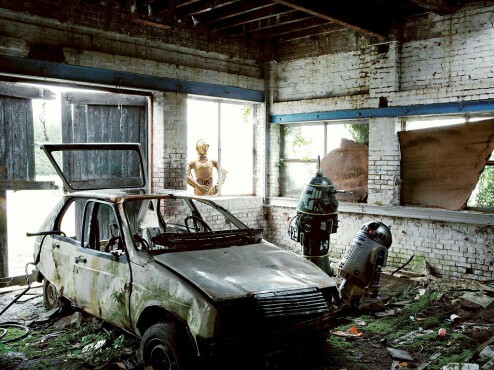 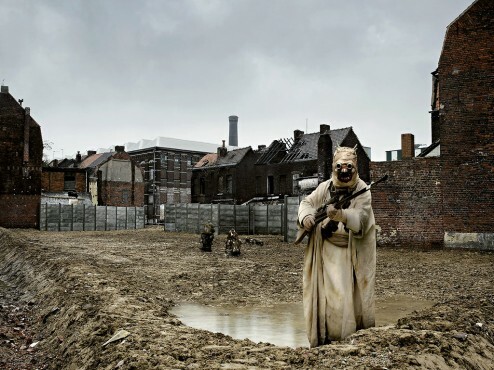 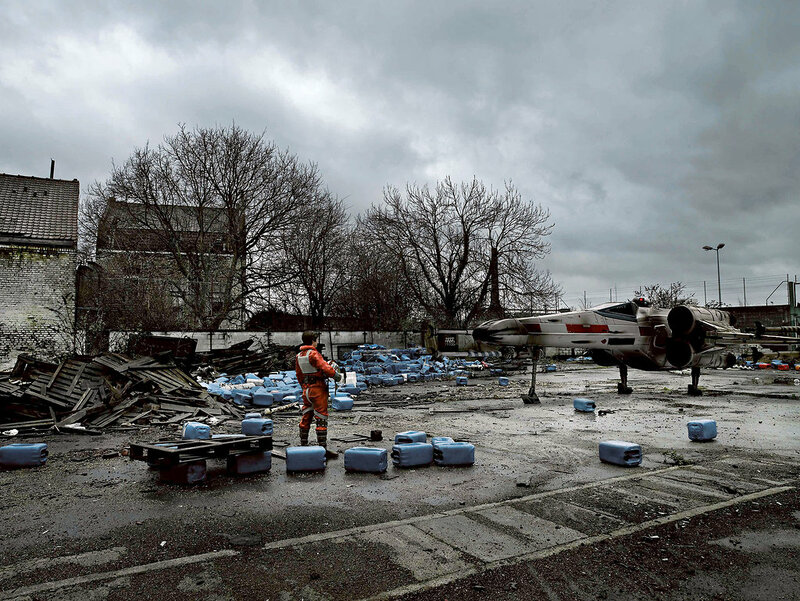 The images simmering in the French photographer Cédric Delsaux’s Dark Lens series are an unsettling confluence of hyper-real cityscapes, a post-postmodern sense of humor … and characters from Star Wars. 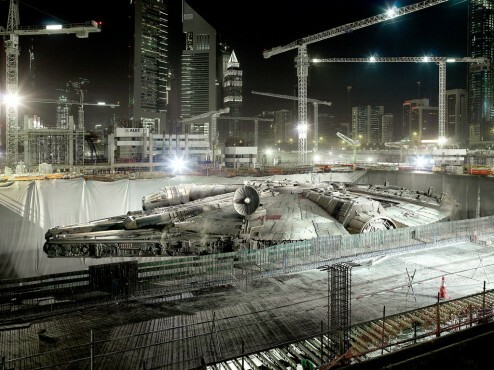 There’s Darth Vader, in his dark and terrible glory, stalking Paris and Dubai; Jabba the Hutt lurking in some Parisian ruin; and the Millennium Falcon rocked by a sandstorm above Dubai. 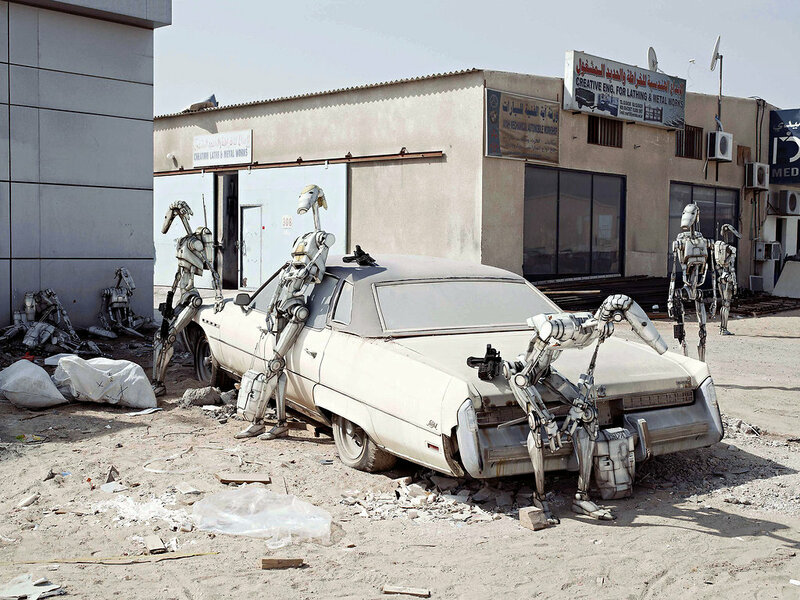 One of the many questions raised by these bewitching photographs is this: George Lucas’s science-fiction fantasy long ago colonized our cultural imagination, so why not our actual physical world? 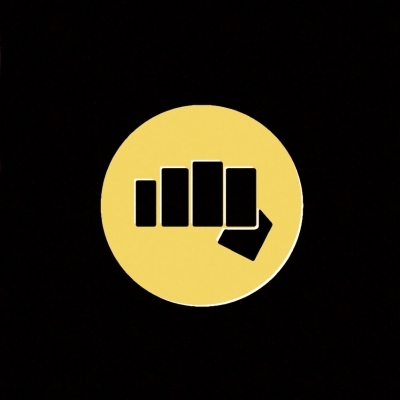 Check out the rest of Delsaux’s Star Wars series HERE.